A delicate beauty of blown glass with two planes of scalloped and polished facets on either side. 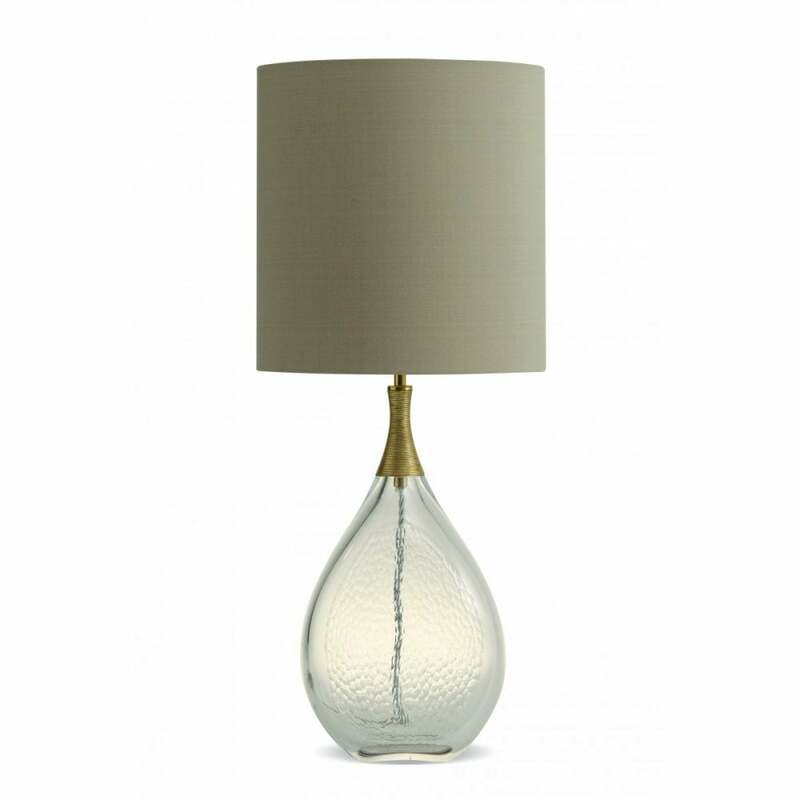 An elegant neck of gold or silver spun texture sets off the lamp body like a fine piece of jewellery. Elegant and a masterclass of glass blowing and detailing. The spun accessories are available in Silver or Gold.